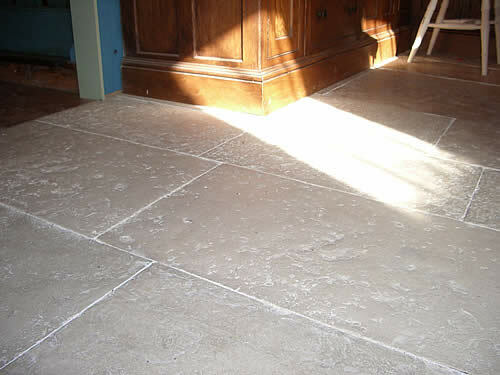 Castle Flagstones are the largest on the market at the moment with sizes up to 48" x 30" and totally exclusive to ourselves. 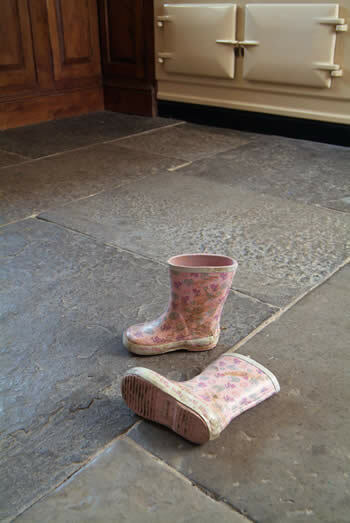 Another advantage of our Flagstones is they are all two inches thick, and although heavy are around only half the weight of originals. This makes them less labour intensive and easier to lay. 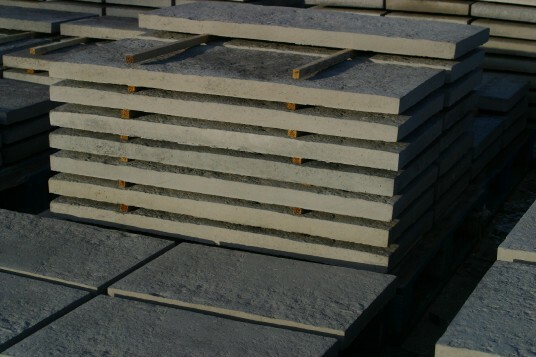 The colour is taken from locally quarried Blue Lias stone, but other shades are available for example Hamstone, Portland and Purbeck. 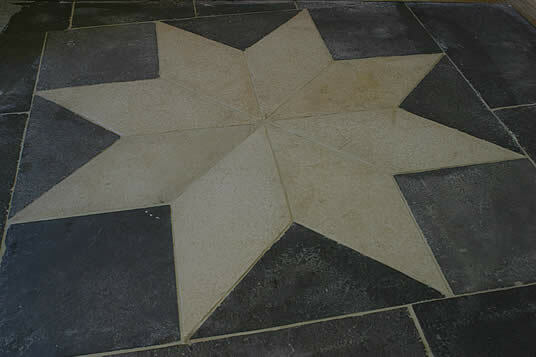 The original flagstones we reproduce are carefully selected by our stone mason from our stocks at Castle Reclamation. Then cut to the exact size required, to be laid in courses as they would have originally been,with tight joints, known in the trade as penny joints. After being cleaned they are then taken to our mould maker, who makes an exact imprint in rubber. The mould is then fitted to a timber frame support. 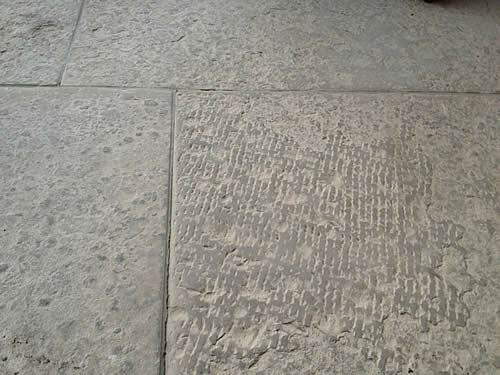 Natural aggregates are mixed together with natural colour pigments and cement to form an exact replica of the original flagstone. 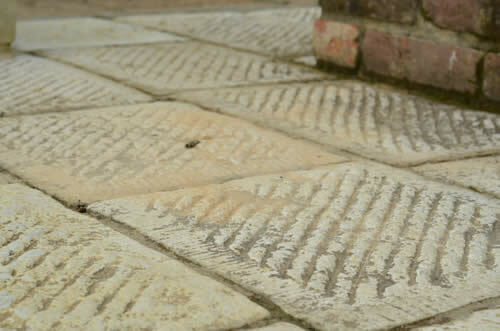 Our range of broached flagstones is ideal for exterior paving as they have a lightly tooled margin with heavier tooling or broaching as the main centre panel. This can be of great advantage in wet conditions giving additional grip. 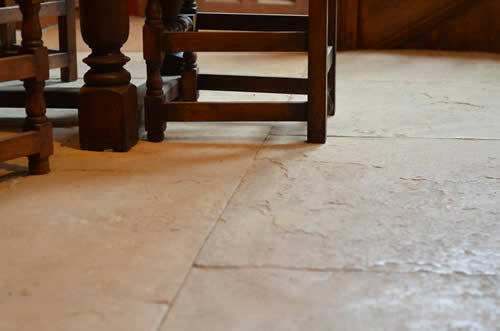 Originally they were laid in straight courses and our selection of twenty four different stones, in course widths of 11" 12" 13" 13½" 14" and 17" and numerous lengths will create a varied and interesting pattern. 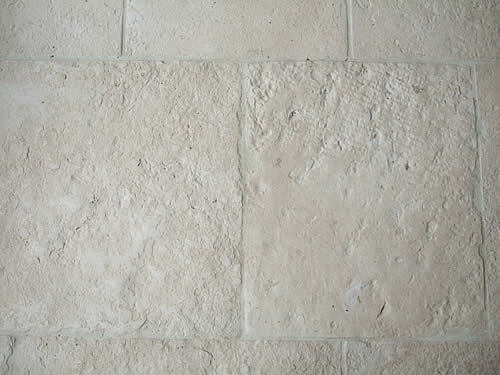 We produce them in four shades, Purbeck, Cotswold, Hamstone and Blue Lias.